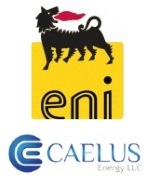 édité le 03/01/2019 - Plus de news de "ENI" - Voir la fiche entreprise de "ENI"
Eni enters into agreement to acquire 70% and operatorship of the Oooguruk oil field in Alaska from Caelus Natural Resources Alaska LLC. Eni already owns the remaining 30% working interest. The agreement is subject to the approval of the authorities and to certain closing conditions. The Oooguruk oil field, located in the Beaufort Sea approximately 5 kilometers off Alaska’s North Slope coast, has been in production since 2008, and current gross production is of approximately 10,000 barrels of oil per day (bopd) from 25 producing wells and 15 gas/water injector wells. Production facilities are located on an artificial gravel island, located in just 1.5 meters of water depth with dry production trees, which provide for safe and environmentally responsible production operations, comparable to those of an onshore field. Additionally, Eni will leverage on the existing excellent relationships and cooperation with the local communities. Eni already is the operator, with 100% working interest, of the Nikaitchuq oil field, located approximately 13 km North-East of Oooguruk. Nikaitchuq has been in production since 2011 and currently produces about 18,000 bopd. The acquisition of the 70% of Oooguruk will allow Eni to immediately increase its Alaska production by approximately 7,000 bopd gross, and to implement important operational synergies and optimizations between Oooguruk and Nikaitchuq, both operated at 100%. Eni plans to drill further production wells at Oooguruk and Nikaitchuq, with the target to increase its total Alaska production beyond 30,000 boed. This operation will also further strengthen Eni’s presence in the region, after the recent acquisition in August 2018 of 124 exploration leases (for a total of approximately 350,000 acres) located in the Eastern North Slope of Alaska. In the United States, Eni is present in 21 oil and gas fields (of which 11 operated) with a net daily production of approximately 60,000 boed. In the Gulf of Mexico and in Alaska Eni holds 228 leases, and has a non-operated participation in the Alliance field (shale gas, near Fort Worth, Texas). where it operates by offering support to the municipal waste disposal system. Caelus Energy, LLC, is a privately held independent exploration and production company that currently operates the Oooguruk field on the North Slope of Alaska. We specialize in exploration, development, and production of oil and gas. The company is currently focused on the pursuit, identification, and development of strategic opportunities across Alaska, and beyond. Caelus prides itself on its agility, state-of-the-art strategies and a unique approach to exploration and project development. Headquartered in Dallas, with an office and operations in Alaska, the team at Caelus has earned a reputation of integrity and innovation, and is a leader in developing world-class operations.